Automatic Access has installed automatic doors at a trauma hospital for the troops in Kandahār, Afghanistan, to help injured people enter more easily and to improve general efficiency at the hospital. Kandahār, also known as Qandahār, is the second-largest city in Afghanistan, with a population of around 557,118. During the war, fighting in the Kandahār region was particularly intense. 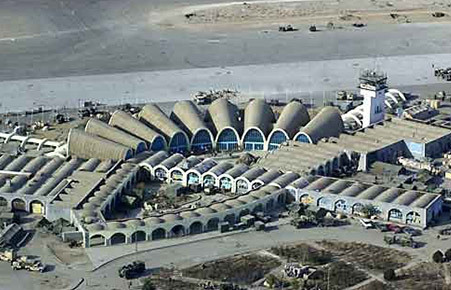 One of the largest military bases in Afghanistan, Kandahār International‎ – commonly known as Kandahār Airfield – is located south-east of the city. It is Afghanistan’s second major international airport and is capable of housing up to 250 aircraft of all types. The other main airport is Kabul Airport, in the north. Kandahār airport has an interesting history, as it was designed and built by the United States in the late 1950s and was then occupied by the Soviets during the Soviet War in Afghanistan in the 1980s. Following their withdrawal, it remained under the control of Mohammad Najibullah’s government until he stepped down in 1992. Local warlords and the Taliban then took control of the airport, until the US-led invasion in late 2001. Since 2007, the airport has been repaired and expanded and is used for both civilian and military flights today. It is maintained by the Afghan Air Force and the Resolute Support Mission. The Second Wing of the Afghan Air Force has its own base within the airport’s grounds and the Afghan National provides security inside the passenger terminal. The airport escaped relatively unscathed during the war, despite the sustained fighting in the Kandahār area. The main building remained largely intact during the war. However, the airstrip suffered extensive damage. The United Nations repaired it in the mid-1990s to support humanitarian flights. In 2012, Automatic Access was approached by a facilities management company, working on behalf of NATO, regarding automatic doors at the trauma hospital at Kandahār Air base. The HVAC systems were not working properly, because in the high temperatures in Afghanistan, the doors were being left open, so the air conditioning was leaking from the building, while heat was entering through the open doors. The HVAC systems were inefficient as a result and were having to work constantly, causing wear on the plants and also increasing the running costs. One of the ways to mitigate this was to install automatic door-operating equipment. Installing automatic doors not only helped the efficiency of the air conditioning, it also helped the injured troops and civilians to access the hospital more quickly, without staff having to manually hold open the doors in emergencies. The equipment had been extensively tested in the UK, at Automatic Access’s premises in Leicestershire, before being shipped to Kandahār. Automatic Access Limited and their experienced, professional team of automatic door fitters travelled to Afghan from the UK in the six months after the surveys were carried and took 10 days in August of the same year to fit 27 swing door units to the external and internal doors and complete the changes required. This has improved the efficiency of the hospital and the cost-effectiveness of the HVAC units.